Oriental Shenghong(000301.SZ) The stock price is in a downward channel due to the decline in net profit forecast for 2018 results. 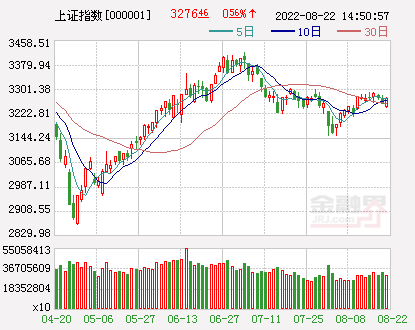 On the last trading day of the Year of the Dog, Oriental Shenghong's share price rebounded with the broader market, closing at 5.02 yuan, or 3.29%. 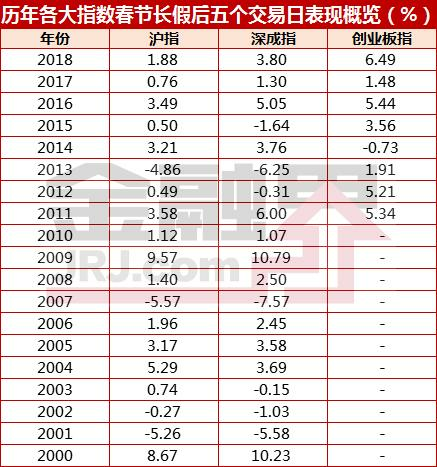 On January 24th, Oriental Shenghong released the 2018 annual performance forecast, saying that due to the impact of goodwill impairment, the net profit of the stock return is expected to fall by 47.52%-26.53% compared with the same period of last year. In August 2018, Jiangsu Guowang Gaoke Fiber Co., Ltd. (referred to as “Guowang Hi-Tech”) 12.7 billion backdoor in the Eastern market, this major asset restructuring constitutes a reverse takeover, the merger cost and the fair value of the identifiable net assets of the listed company’s original business. The difference is recognized as goodwill. Therefore, Oriental Shenghong has made nearly 600 million goodwill impairment provision in its third quarter financial report for 2018. However, the impairment amount of goodwill has a significant impact on the current profit of Oriental Shenghong, accounting for 92% of the current net profit. As the original shareholder of Guowang High-Tech, Shenghong Technology has promised Guowang Hi-Tech 2018 non-net profit in the Performance Commitment and Compensation Agreement and its supplementary agreement. Whether the impairment of goodwill will affect the performance commitments during the restructuring of the listing, there is no final conclusion. In addition, as an independent financial adviserHaitong Securities,Soochow SecuritiesBoth of them believe that the price of the restructuring transaction is reasonable and recognize the performance commitment and compensation agreement. In fact, the reorganization was applied to the SFC as early as 2017, but it was rejected because of a large number of related transactions. Independent financial advisers Haitong Securities and Soochow Securities' own self-operated accounts have bought and sold shares in the Eastern market. In 2018, Haitong Securities sponsored 8 companies with a 50% chance of passing. In the first half of last year, the four companies sponsored by Haitong Securities, Shanghai Longqi Technology Co., Ltd., Zhejiang Huada New Materials Co., Ltd., Nantong Guosheng Intelligent Technology Group Co., Ltd. and Ningbo Tianyi Medical Devices Co., Ltd. were all rejected. Ningbo sponsored in the second half of the yearYongxin OpticsCo., Ltd., JiangxiJinli permanent magnetTechnology Co., Ltd., Hunan Yujing Machinery Co., Ltd. and Ningbo Jinlang New Energy Technology Co., Ltd. passed the audit. In 2018, Soochow Securities sponsored four companies with a 75% chance of meeting. Longli De Intelligent Technology Co., Ltd. will be rejected,Nanjing SecuritiesCo., Ltd., Wuxi Wuhu Pressurization Technology Co., Ltd. and Suzhou Maiwei Technology Co., Ltd. attended the meeting. On January 24, Oriental Shenghong released its 2018 annual results forecast. The company expects net profit attributable to shareholders of listed companies to fall by 47.52%-26.53% year-on-year, and the profit is expected to be 750 million yuan to 1.05 billion yuan. Regarding the reasons for the change in performance, Oriental Shenghong stated that it was mainly due to the provision of goodwill impairment provision of RMB 599 million for the current period. The above goodwill was formed due to the reorganization of the company's reverse acquisition assets. In August 2018, the Oriental Market (000301.SZ) non-publicly issued 2.811 billion shares at a price of 4.53 yuan per share, and purchased 100% equity of Guowang Hi-Tech held by Shenghong Technology and China Development Fund. The transaction consideration was 12.733 billion yuan. Haitong Securities and Soochow Securities acted as independent financial advisors. The major asset restructuring constitutes a reverse purchase, the original listed company of the parent company becomes the buyer (subsidiary) of the accounting, and the subsidiary Guowang High-Tech becomes the purchaser (parent company) of the accounting. Shenghong Technology promises that Guowang High-Tech's net profit after deducting non-guarantee in 2018 shall not be less than 1.244 billion yuan, and the total net profit after deducting non-depreciation in 2018 and 2019 shall not be less than 2.611 billion yuan, and the total deduction will be net after 2018 to 2020. The profit is not less than 4.085 billion yuan. In the transaction report at the time, Haitong Securities and Soochow Securities, independent financial advisers, said that the transaction price was fair and reasonable. After the transaction was completed, it would help improve the quality of listed companies' assets, improve the company's financial status, and enhance profitability and sustainable operation. It is conducive to protecting the interests of all shareholders of the listed company. In addition, Haitong Securities and Soochow Securities said that the listed company and Shenghong Technology have made an agreement on performance commitment and compensation arrangements. The performance commitment and compensation plan are feasible and will not harm the interests of shareholders of listed companies, especially the interests of small and medium shareholders. Through this transaction, Guowang Hi-Tech borrowed from the Oriental market to land in the capital market. Guowang Hi-Tech became a wholly-owned subsidiary of the listed company. The controlling shareholder of the listed company was changed to Shenghong Technology, and the actual controller was changed to the couples of Qi Hangen and Zhu Hongmei. In September 2018, the company changed its name to "Oriental Shenghong". As a result of the goodwill formed by the reorganization, the transaction report stated that the merger cost of the transaction was 5.519 billion yuan calculated based on the original share capital of the listed company of 1.218 billion shares at a price of 4.53 yuan per share. According to the “East Island Appraisal  No. 0161” “Enterprise Value Assessment Report” published by Dongzhou on March 25, 2018, the identifiable net assets assessed by the listed company’s original business based on the asset-based method are fair. The value is 4.92 billion yuan, which is lower than the book value of the relevant asset group containing goodwill. Therefore, the company's third quarter financial report in the third quarter of the financial report was reduced by 599 million yuan. The difference between the merger cost of 5.519 billion yuan and the fair value of the identifiable net assets of the listed company of RMB 4.92 billion was recognized as goodwill. Oriental Shenghong said that according to the relevant provisions of the “Accounting Standards for Business Enterprises No. 8 – Assets Impairment” and the Accounting Standards for Business Enterprises, the goodwill formed by a business combination should be tested for impairment at least at the end of each year. Therefore, the company's third quarter financial report in the third quarter of the financial report was reduced by 599 million yuan. On October 31 last year, the third quarterly report released by Oriental Shenghong showed that the book balance of goodwill of listed companies was 695 million yuan. Although the impairment of goodwill accrued by Oriental Shenghong is not the impairment of the performance in the general sense, the impairment amount of goodwill has a significant impact on the current profit of the company, accounting for the net profit of the company in the first three quarters of 2018. 92%. There were a large number of related transactions before and after the transaction. The reorganization was rejected. In fact, as early as August 2017, the Eastern Market announced that it intends to purchase 100% equity of Guowang Hi-Tech, which is held in total by the non-public offering of shares of Shenghong Technology and China Development Fund, and plans to issue 2.756 billion shares at a price of 4.63 yuan. .
At that time, in the acquisition plan of the Eastern Market, it was seen that Guowang High-Tech had a large number of related transactions with its subsidiaries at both ends of the sale and purchase. 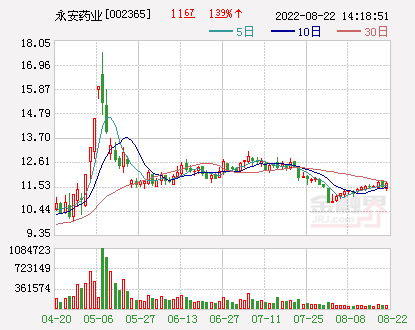 Zhu Hongmei, the lover of Guowang High-tech Real Estate Manager, also frequently bought and sold listed company stocks. 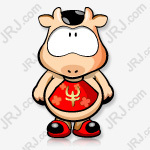 Before the suspension, Zhu Hongmei held a total of 861,800 shares in the Oriental market. In addition, the independent financial adviser Dong Wu Securities project team member Yin Xiangyu, the father of Yin Xiangxian, independent financial adviser Haitong Securities, Soochow Securities self-operated account, etc. also have the situation of buying and selling shares in the Eastern market. At that time, Soochow Securities stated that the company implemented a strict isolation system between investment banking, self-operated, brokerage, asset management, research and consulting and other related departments. The self-operated sector buys and sells Oriental market stocks based on its independent investment decisions. There are situations in which insider information is used for trading. Soochow Securities - Soochow Securities -Everbright Bank- The Soochow Huicheng No. 1 Collective Asset Management Plan "holds positions and transactions in the Eastern market stocks based on relevant investment strategies and quantitative hedging strategies for stock operations. There is no use of insider information for stock trading. Haitong Securities also stated that the quantitative investment business of the company's equity investment and trading department involves the trading of stocks based on the financial engineering quantitative strategy algorithm. During the self-inspection period, Haitong Securities bought a total of 14,700 shares in the Oriental market and sold a total of 14,700 shares. 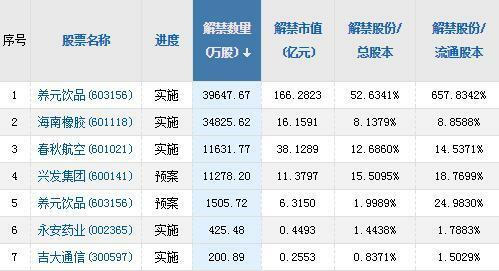 In addition, Haitong Securities' wholly-owned subsidiary Shanghai Haitong Securities Asset Management Co., Ltd.'s “half-year rise”, “Haitong Baoyin Quantitative Hedging No.1”, “Baoyin Excellence Quantitative Hedging No.1”, “Baoyin Quantitative Hedging 2” Fund products such as “No.” mainly use quantitative hedging strategies and quantitative models for stock trading. However, despite the initial depreciation, the Eastern market continued to promote restructuring. On June 27, 2018, the CSRC M&A Committee reviewed the major asset restructuring of Guowang Hi-Tech's backdoor market and was finally approved. Oriental Shenghong: It is planned to transfer the business of the Spring Festival Commercial Plaza and cinema property to 55.61 million yuan.